I mean, that's what the store is named after, right? I mean, isn't this just the stereotypical health-food nut thing? How come I can't find the seeds in the stores anymore? The first thing that happened was last year I casually asked where the alfalfa and clover seeds were in the bin area of Central Market, and they said that they didn't have them. The lady said she had worked in that department for a number of years and had never seen them. Well, okay, I didn't really need them, I was just thinking I would get a few while I was there, cause maybe if I bought them I'd go ahead and make them and eat them. And while I get a lot of that sort of thing there, Central Market really isn't a health-food store, they just often have a lot of that stuff. Okay, so last week I was thinking that I should look into it again, cause I'm probably going to diet and such in a few weeks. First, I thought I'd just get a few seeds from the Asian market, cause those aren't really sold for sprouting and tend to be in smaller packets and cost less money. Of course, since they aren't sold for sprouting, a lot of them don't sprout, so I was just buying a few to test. And then I was off to Whole Foods, to get stuff out of bins. But again, not so much stuff in bins. Beans, sure, no shortage of those. But no clover, no alfalfa, and the real surprise no sunflower seeds that weren't hulled and/or roasted. Okay, no little seeds in bins, so I'll have to buy packets, which are sometimes more money and/or larger size than I wanted. These used to be on a wall next to the produce department, but I did not see them. I asked a couple of people, and they either pointed to the display of vegetable seeds, or else they did not know what I was talking about. So one of the cashiers called someone to help me. That lady pointed to the packages of already made sprouts. No, not those, just the seeds to make those at home. Make them at home, with seeds? No, we don't have anything like that. I went to the spice area and bought a few mustard seeds to test them. So far, it doesn't look good. 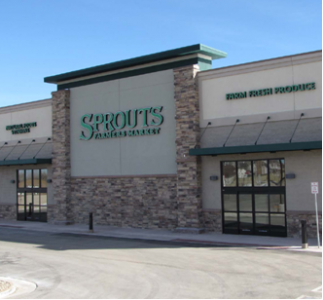 So finally on Saturday I went to Sprouts, cause surely Sprouts would have what I needed, right? And I'd read somewhere online someone saying how if you wanted to make sunflower sprouts that you needed to get a certain kind of seed from the bins at someplace like Sprouts. And there were no sunflower seeds that were not hulled and/or roasted. So no seeds out of the bins (except for beans). And then when I asked about sprouting seeds I was again pointed toward a rack of vegetable seeds. People complain that you shouldn't buy stuff online, that you should buy stuff from stores, and that even if you don't buy from some local person at least if you buy from a big store that's local you are paying sales tax and doing stuff for the economy in your area. But I can't even buy freaking sprouting seeds at the health-food stores.